When it comes to quality and accurate levels look no further than GME Supply. We source the best quality levels so you can get the job done right the first time. Our level selection has something for everyone, no matter what type of level you need. Our level section includes torpedo levels, magnetic levels, digital levels, top read levels, and theodolites. We have levels that range in size depending on the job at hand. Our levels range from 9 to 48 inches and come with multiple measuring options. Magnetic levels are great when you need to get an accurate reading of objects that contain metal. They will stick to the object and ensure accuracy for your measurements. Digital levels offer extra accuracy and can be extremely beneficial while on the job. Theodolites are perfect for those jobs that require leveled angles. Don’t see the level you need? 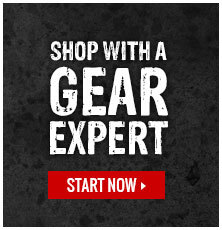 Click here to contact one of our Gear Experts® and we will help you find the tools you need to get the job done.